​ More dates and locations will be added soon! 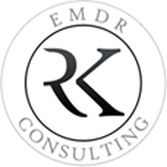 EMDR Consulting's EMDR Therapy Training! ​We offer an EMDRIA-Approved Basic Training, which includes the two-part training and 10 hours of consultation. Serving you, the EMDR Community, is our primary mission. We offer collaboration and support before, during, and after your Basic Training with us.